Will popping a MealEnder make all your willpower dreams come true? 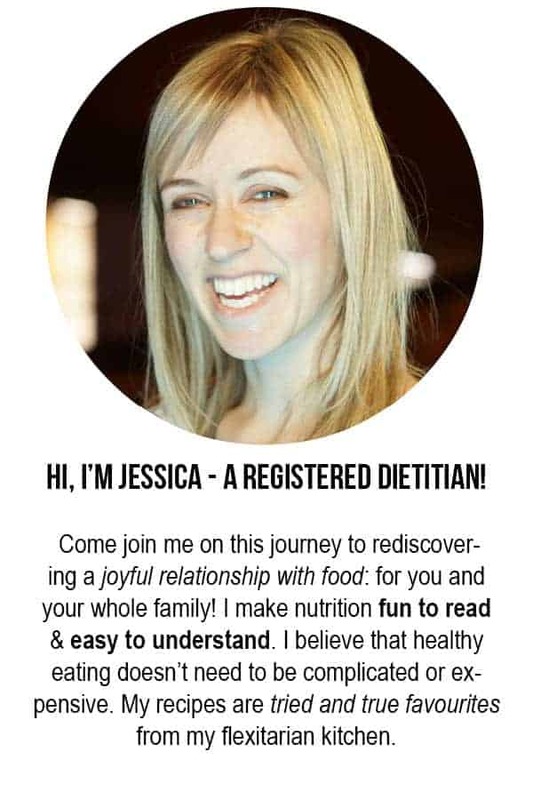 Get a MealEnders review direct from a Dietitian. Years ago I heard about this candy-like treat that was supposed to help you avoid dessert. I wasn’t sure what to think of this concept at first, but I’ve now actually used them in my practice as a dietitian. So it’s high time I do a MealEnders review. It’s a bit more complex than you might think. 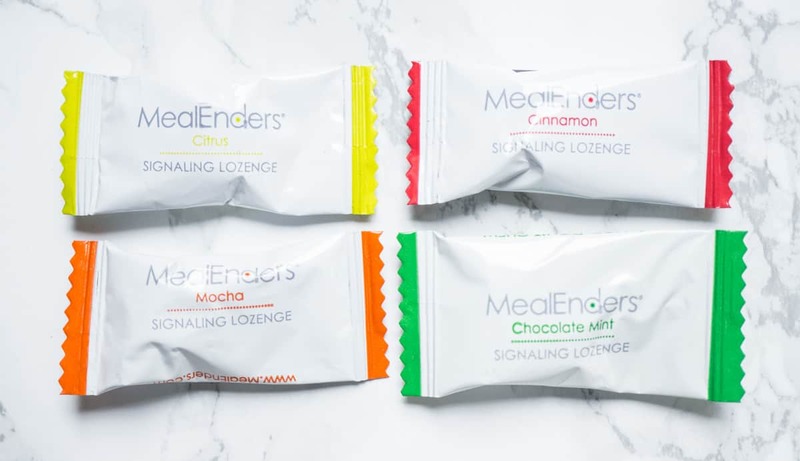 “MealEnders uses a combination of behavioral psychology and sensory science to help people eat and be satisfied with less. 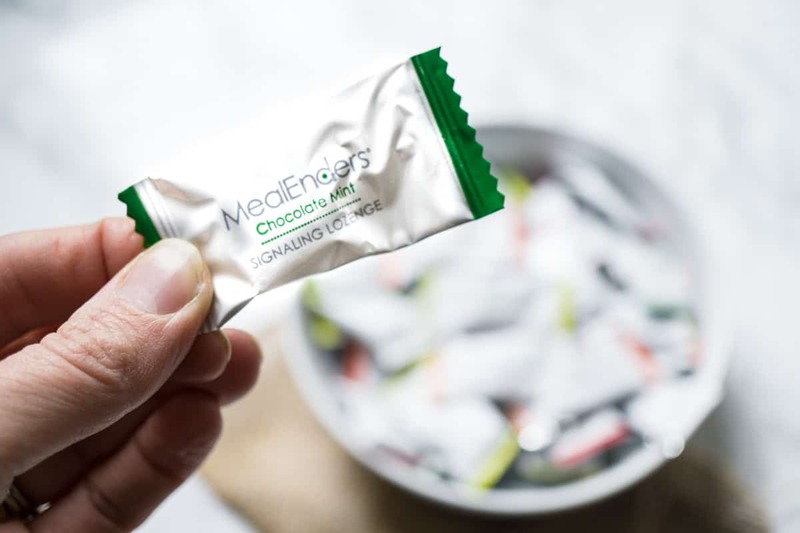 MealEnders is able to accomplish this due to a proprietary duo-sensory taste system: a sweet outer reward layer, followed by an “active taste” center. The outer layer provides a measured dose of “dessert,” a signal typically associated with the end of a meal or the satisfaction of a snack craving. The center engages the trigeminal nerve (the nerve that senses taste-driven “sensations” in the mouth) with long-lasting cooling/tingling sensations to clear the palate and cue the mind to recognize when it is time to stop eating. In other words, there are two parts to these things, and two separate goals. 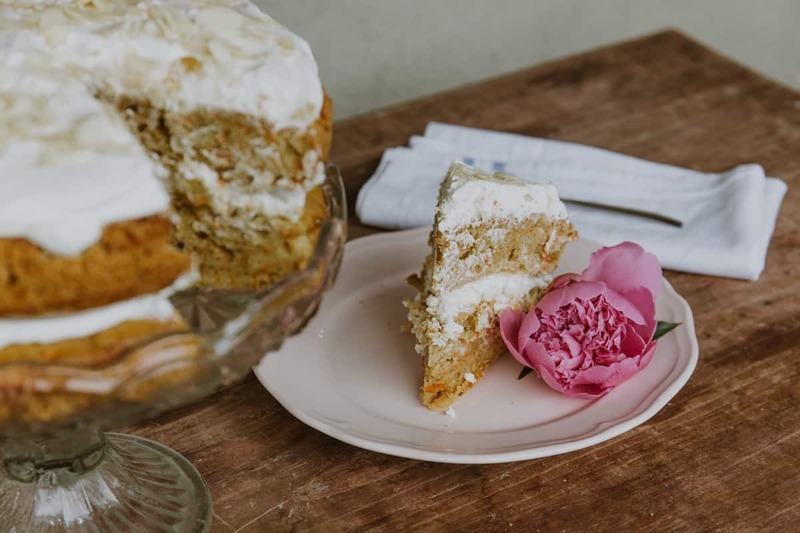 The outer layer aims to be a truly enjoyable sweet treat for a psychologically satisfying way to end a meal (for those of us used to ending a meal with dessert). This part is tasty and satisfying, but melts in your mouth quickly. The inner layer is more like a mint that will last for a while. It aims to keep you busy while your body figures out that it’s full. My initial hesitation about MealEnders was that, even though the rep didn’t say this, I got the impression that MealEnders were supposed to replace dessert. As a dietitian, I’ve found that one of the most prevalent and damaging food fallacies is that it’s not ok to eat dessert. It’s ok to eat dessert… because it’s a basic human desire. It’s ok because you can eat dessert without consuming way too many calories. It’s ok because you can eat dessert and still have a wonderfully balanced, healthy diet. And… it’s ok because if you think it isn’t ok, you’re gonna have a bad time. Trying to restrict yourself from enjoying desserts, or any treats that you enjoy, is generally going to backfire. Restricting yourself entirely from enjoyable things causes these forbidden fruits to gain more psychological power over you than they would otherwise have, and it makes it harder for you to exercise a natural amount of restraint around those foods! So, I don’t feel like a dessert replacement is a particularly good idea. And I think it’s potentially problematic that people will be inclined to view MealEnders as a way to stop eating dessert. Having said that, I could see MealEnders actually functioning as a proper dessert for many people. It isn’t trying to be a “diet food,” it’s the REAL DEAL. It’s not sugar-free. It’s not low-fat. It’s a genuine treat with fat and sugar, and I genuinely enjoy the taste! It comes in four flavours. Chocolate Mint and Mocha both have chocolate-y outer layers. These ones were our favourites. The other two flavours, Cinnamon and Citrus, remind me of flavoured white chocolate. The only problem is, it’s just a morsel; the whole lozange is only 15 calories, and the tastiest outer layer melts in your mouth within a minute. So my experience with it was just as I initially suspected: I would eat one after a meal, but afterwards I still wanted to eat the dessert I had had in mind. Using a MealEnder when I really wanted a few chocolate chips was a form of restriction for myself, and it didn’t work. That’s not all there is to this MealEnders review though. Because there was a way that I did get them to work for me. To understand the next part of how MealEnders worked for me, we have to talk about satiation. The first step of fullness is the physical feeling of food in your stomach, which the body senses with stretch receptors in the stomach. This occurs fairly quickly. The second step of fullness is a general feeling of satisfaction. This is more on an intuitive level than a precise physical or mental level. The third step of fullness is when the brain receives feedback from chemical messengers that respond to the presence of digested food in the digestive tract. Much of this only happens once food hits the intestines, which takes somewhere around 20 minutes. The way they do this is through the tingly inner core of the lozange. It reminds me of brushing your teeth. Once you have that minty taste and clean feeling of your teeth, you don’t want to ruin it by eating something! I found this quite effective! Sometimes I would finish a meal and didn’t have anything sweet in particular in mind… I just wanted a little something. In those situations I had a Meal Ender and found it very satisfying. This approach is a good idea for people who are aware that they might tend to eat dessert out of habit when all they need is a little something, and some time to really feel full. That’s how I recommended it for use by some of my clients. Do MealEnders Become A Crutch? “I use other things that might be considered “crutches.” Gum. 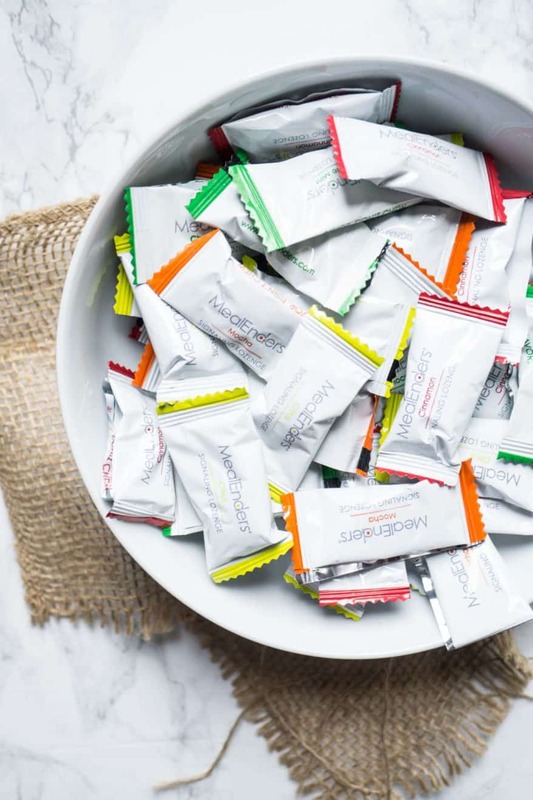 Sugar-free candy. Diet pop. And water. These are all things that help me deal with the fact that my mouth sometimes wants something sweet even when my belly doesn’t. The water helps because often there’s a stickiness in my mouth that makes me crave something sweet when really all I need is to drink something. I will likely buy all of these things for the rest of my life, because I enjoy them. Just like I will continue eating other foods for the rest of my life. I don’t think I see buying MealEnders any differently. If you enjoy them, and can afford them, then sure! So to conclude our little MealEnders review here, there are basically two ways you can use them. If you’re using them to try and dissuade yourself from eating a few bites of dessert or ward off a craving… then this will NOT work! But, they could be great for someone just starting out with intuitive and mindful eating, to help them stop and reflect on what their bodies are really signalling. In the first instance, you’ll still end up wanting the original craving once the MealEnder wears off. But if you just have that “oh I kind of want something sweet,” then they can be a great tool! Having said that, they’re not the only tool you can use. Personally, I find tea (I drink mine unsweetened) or gum helps during these moments. If you’re intrigued and want to try them, order them on Amazon here! (affiliate link) If you want some tackling those food cravings, check out my 10 day e-course Conquer Cravings! What about you? If you’ve tried MealEnders, I’d love to hear your experience! Note: I was sent some free samples of this product but was not ask to provide nor was I paid for this review.